November 3, 2017 1:27 pm. IT’S going to be a big week of racing in Melbourne with the Derby, Melbourne Cup, Oaks and Emirates Stakes all run within a week. Top bookmaker CrownBet.com.au has come out with the goods in preparation for Melbourne Cup week with some quality sign-up deals and bonus bet offers, which kicks off this Saturday with Victoria Derby day at Flemington. But first, check out the following sign-up deals so you can maximise your profits this week. We have seen too many bookmaker sign up bonuses better than what CrownBet is offering for new punters. Simply sign up with CrownBet, which takes only a couple of minutes, deposit $20 and your account will be credited with $180 in bonus bets. That’s $200 to use during Melbourne Cup week from only a $20 deposit. You don’t need to deposit hundreds to dollars to have a good time this week, just find a cheeky $20 and get started. This offer expires on Saturday, so you need to be quick and get your Derby day sign-up bonus sealed. CrownBet just keep pumping out the quality sign-up deals and this one caters to punters that want a little extra cash to spend during Cup week. 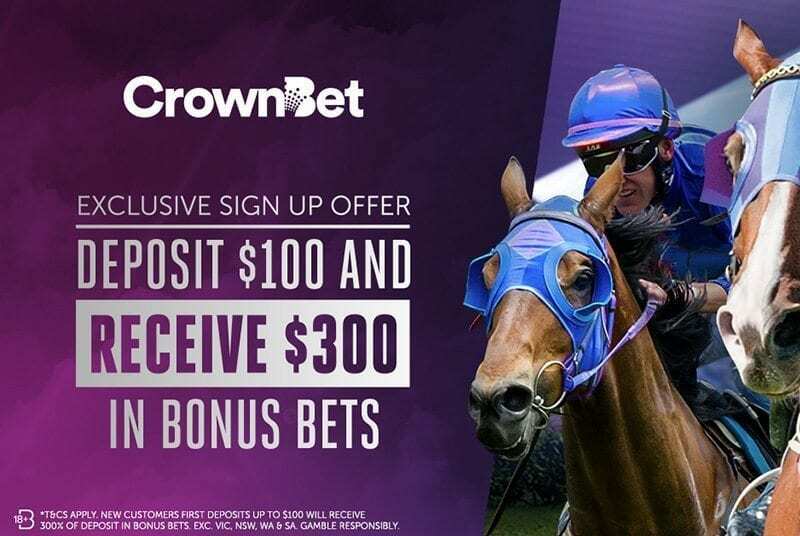 Deposit $100 with CrownBet and you will receive $300 in bonus bets. That’s $400 to spend on the Melbourne Cup carnival or you could spend it on any race or sport that you wish. The choice is yours, but these deals don’t last forever and it could pay to load up the account before the hustle and bustle of the carnival kicks in. It’s natural for punters to be worried about backing a horse to win and it running second or third. In fact, there’s nothing worse than getting close but no cigar, but CrownBet takes that pain away from punters and turns it in to pleasure. If your horse finishes second or third in any race at Flemington on Derby day, CrownBet will match your stake (up to $50) with bonus bets. You won’t be annoyed at finishing in the placings, you’ll be happy to can re-fire with some bonus bet action on the rest of the card. It’s going to be a busy day of punting on Saturday and we don’t blame punters for taking Sunday off, but CrownBet has Sunday promotion for racing at Mornington. 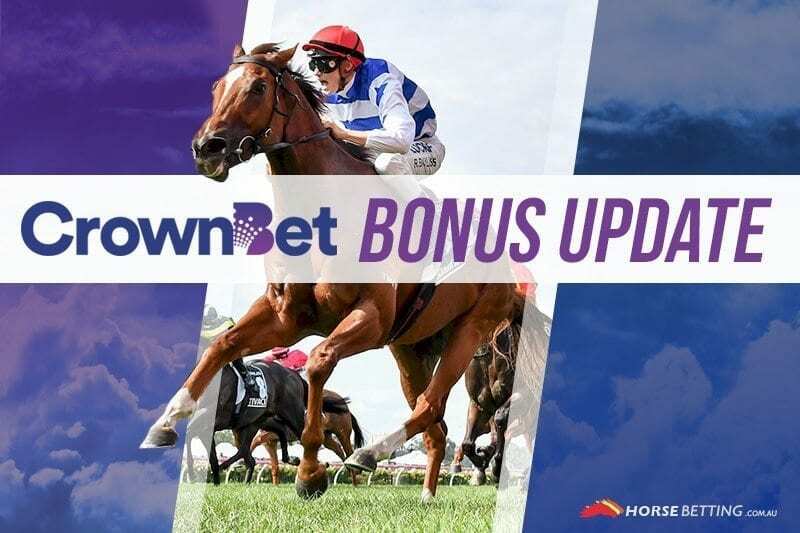 Mornington doesn’t quite deliver the same action as Flemington does on a group one day, but punters can still take advantage of the rewards points bonus on offer. Place a fixed odds win bet and you’ll get your stake back in rewards points (up to $50 worth) if your horse runs second in races 1-4 on the Mornington card.